There is the known story of the Rebbe Rashab, of blessed memory, who once responded (at the Rabbinic conference of 1910) to one of the Rabbis who asked him why he is opposing a particular proposal that the government had put forth [concerning Jewish education] so vehemently? What is the proof that the proposal is so dangerous? He replied, because it felt right to him [in the Hebrew, “mipnei she’hunach etzloi kach”]. At first glance, how could he have stood with such vehemence [merely] on the basis of a “feeling,” [in the Hebrew, “hanocho”] without any proof? Rather, in the case of the heads of the Jewish people the level of the comprehensive Yechidah-soul shines. (This is similar to the ray of Yechidah [that stems from the comprehensive Yechidah-soul] within every person [Jew]. The potential for self-sacrifice stems from this, and this is also the level of Chochmah [“wisdom,” the highest soul-power], (the head) of the soul. See the discourse Podoh Beshalom inSha’ar HaTefillah, ch. 12.) And it is not possible to err in a matter related to the soul-level of Yechidah. Likkutei Sichos, Vol. 4, p. 1202. 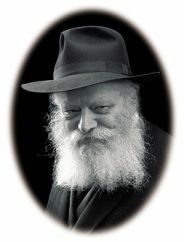 We see from here that certain Tzaddikim (not all perhaps, for it is possible for a Tzaddik not to have the level of Yechidah shine in him; in fact, this phenomenon appears to be present only for a very high level of Tzaddik) not only do not sin or even desire to sin (as discussed in Tanya; see chs. 1, 11) but they also do not err.